FRESNO - Philanthropy Inspired by the Needs of our Community (PINC), a unique Fresno nonprofit founded in 2008 to benefit other local nonprofits in the community, has announced that it will hold its first ever PINC Open Tennis Tournament at Fig Garden Swim & Racquet Club on March 22. Registration is currently open and tennis players of all levels are welcomed. Cost is $25 per person or $50 per team. Individuals who register as singles will be partnered with a player of similar caliber. The tournament will be broken up into Men’s Doubles, Women’s Doubles and Mixed Doubles, as well as according to NTRP rankings. 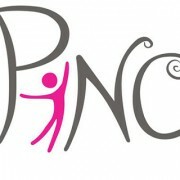 Players can register online at www.PINCFresno.org or at Fig Garden Swim & Racquet Club and The Stringer tennis shop. Registration will close on March 19. As with everything PINC does, this tennis tournament will be unlike any other. Enjoy music, food provided by Westwoods BBQ, silent auction items and more! Naturally pink tennis balls will be used at the tournament. All funds raised at the 1st Annual PINC Open Tennis Tournament will go towards the year-round efforts of PINC to give back to Fresno County non-profits focused on women and children.